Invisible orthodontic appliances are a revolutionary new way to straighten teeth quickly and easily. Based on 3-dimensional computer technology and virtual engineering, they are low-profile customized braces that fit on the inside surfaces of your teeth–so no one can tell they’re there. 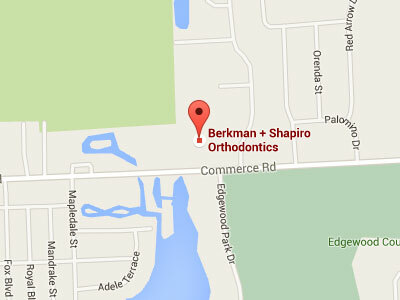 If you have been putting off braces because of an aesthetic concern, please schedule a complimentary consultation with Dr. Berkman or Dr. Shapiro today. We would love to tell you more about this wonderful option for invisible precision orthodontic treatment. What are the advantages of these new invisible braces? Who should consider wearing them? Discerning patients who want all of the benefits of a beautiful smile without it being so obvious!